FIFA has responded to pressure from the international football player's union and changed the starting time of seven World Cup matches to accommodate concerns about extreme heat. Three games scheduled to be played in the Amazonian jungle city of Manaus will kick off at 6pm to avoid the hottest and most humid part of the day. One of those matches is the marquee clash between England and Italy on June 14. 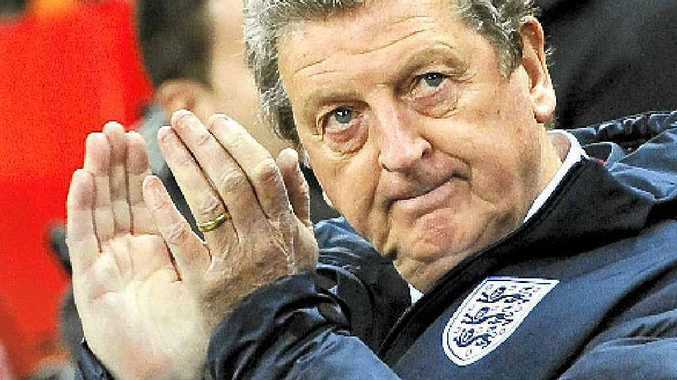 England manager Roy Hodgson (pictured) said he would support Italy's call for two-minute drinks breaks during the match. England has axed plans to play warm-up games in Washington and Boston, instead opting for two games in Miami to help prepare for the Amazon heat. Australia's opening match against Chile will start at 6pm local time in the tropical city of Cuiaba, while the games against the Netherlands and Spain will start at 1pm in the cooler southern coastal cities of Porto Alegro and Curitiba.